Polygonum orientale of Michigan Flora. A native of Asia with deep rose-purple flowers, cultivated as a garden annual and occasionally escaping to vacant lots, dumps, river banks, and disturbed places. First collected in 1866 in Washtenaw Co. The summits of the ocreae often have green herbaceous lobes. MICHIGAN FLORA ONLINE. A. A. Reznicek, E. G. Voss, & B. S. Walters. February 2011. University of Michigan. Web. 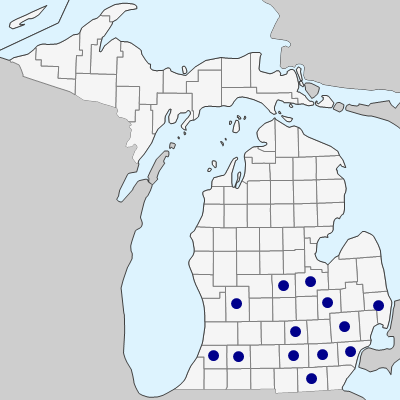 April 22, 2019. https://michiganflora.net/species.aspx?id=2287.